28ct. 'Meditation' Lugana (stitched 2 over 2) from Picture This Plus. Stitched with Carrie's Creation Hand-dyed floss 'Epiphany'. 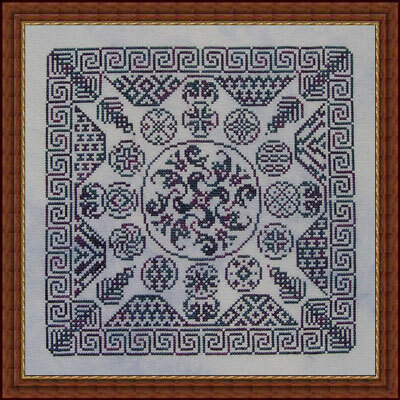 Stitch count is 127 w x 127 h.
Any variegated or solid color thread may be used to stitch this design. 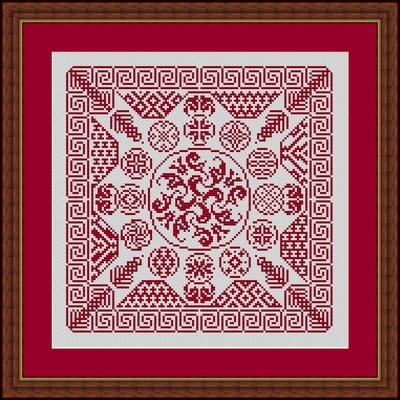 'Fugue' stitched with Red on Antique White jobelan.